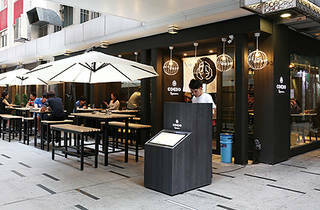 Brew bars are steadily becoming a dime a dozen in Hong Kong. A trendy Japanese taproom with a fairly extensive menu would seem to have the odds running in its favour. Unfortunately, Coedo Taproom just misses the mark. The brewery was established in 1996, as the happy by-product of an organic farming initiative, and has opened taprooms across East Asia. 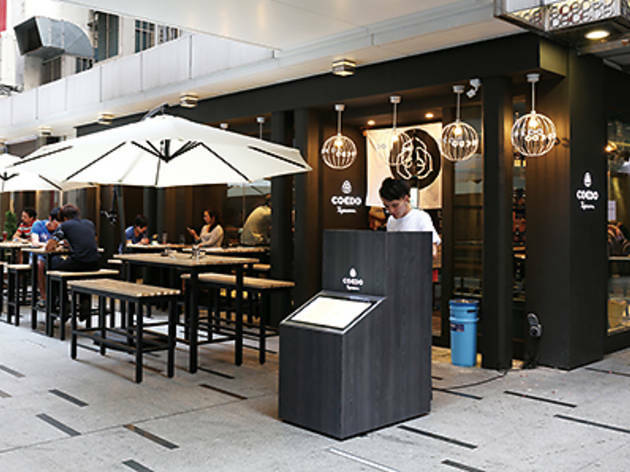 Found in the heart of Causeway Bay, this outpost is well situated alongside other popular bars and restaurants on Paterson Street. Space is at a premium in Hong Kong, so a large table for a small group proves a welcome change. Inside, the bar is comfortable and modest, but there isn’t much that stands out. On the menu, Coedo’s own beers come in four sizes, ranging from XS to L, while guest taps can be ordered as half or full pints. We opt for the Coedo Kyara ($78 for a medium). It’s light and refreshing, as one would expect from a Japanese lager. Next, we order a pint of the 8-Wired Tall Poppy, but we’re given a half ($46) instead. The New Zealand amber ale is bold and heady, with a strong malt flavour. For a light bite, we order two skewers – the duck with pepper sauce ($48) and the pork short rib with spicy miso ($38). Unfortunately, the food takes 40 minutes to arrive, the duck is overcooked and the pork ribs consist of fat more than meat.